To register for all 3 courses go to The Painted Journey and begin your adventure. This offers a $20 discount instead of taking them individually. Or see below to register for individual courses. 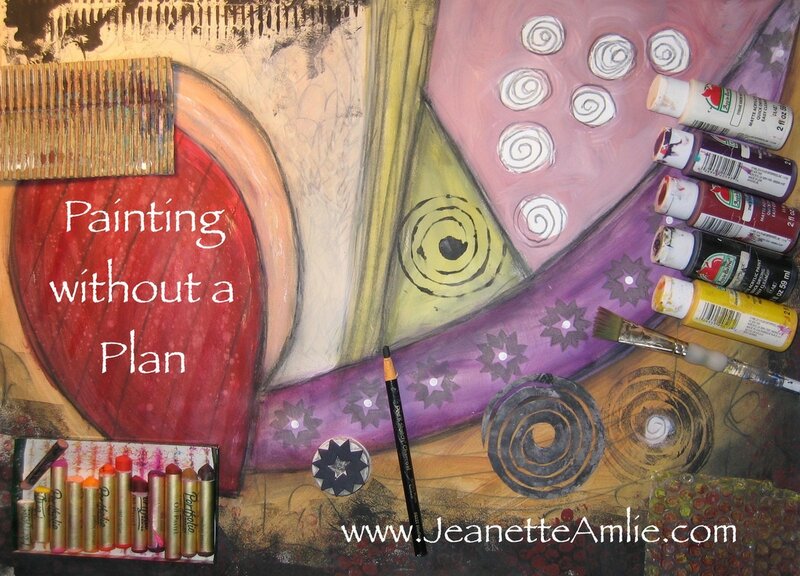 Painting without a Plan is an intuitive way of painting on large sheets of paper that allows you to feel into the process more than worry about the outcome. By using our body awareness we begin to get in touch with the emotional content that is conveyed by line, shape, texture and color. This is an excellent way to move energy that has been held in the body in a way that is liberating and healing. It invites playfulness and authenticity and often reveals deep insights. And the materials are simple and inexpensive, so we don't have to be frugal or sparing in our expressiveness. It is also a wonderful way to create rich background papers to be used to make your own Painted Journal, which is the next course in the series. Register Here. There is something so intimate about cradling a book in my hands, especially if it is one that I created from start to finish. I have seen people's eyes light up as they behold their very first book that they bound themselves. ​This is the second part of The Painted Journey that will show you how to fold down, tear and bind your pages from Painting without a Plan into a little visual book that you can then use for further visual storying. It uses simple materials and is an excellent way to upcycle your process paintings, especially the ones that you aren't so fond of, and create a wonderful journal. You can also take this course alone and just begin with plain paper pages rather than ones that are pre-painted. This is the third and final part of our journey where we get to fill our painted book with our own rich content. This is not a typical illustrated story, rather it is an intuitively guided exploration of what stirs us from within. It introduces spontaneous, uncensored, writing exercises that combine with image-making techniques like collage, drawing & painting to create a narrative that is both personal and meaningful. ​Books by their very nature are intimate and a perfect place to discover our own hidden gems that have been waiting to shine. 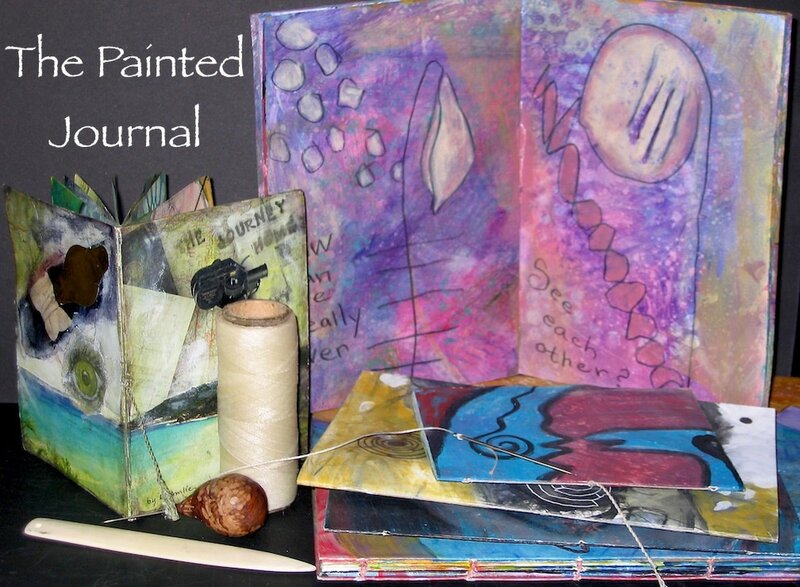 This is an ideal way to use the Painted Journal you created in the previous segments of the course, but you can also use these processes in an altered book or another type of journal. Register here.